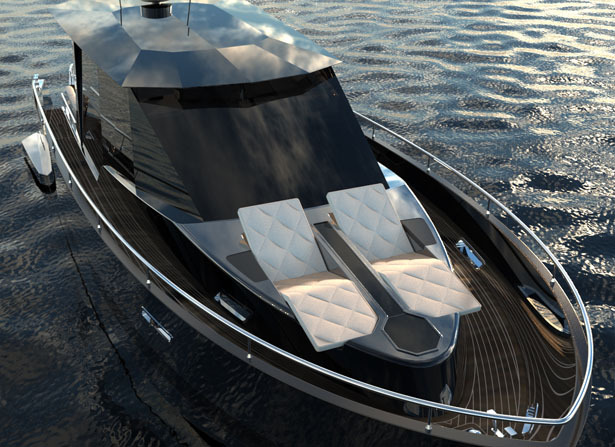 In this Cristiana yacht project, Hyun-Seok Kim, the designer, focused more on comfortable and useful yacht design ranging in length from 42 ft. to 45 ft. 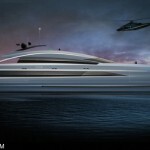 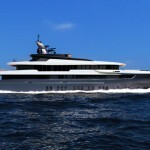 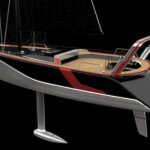 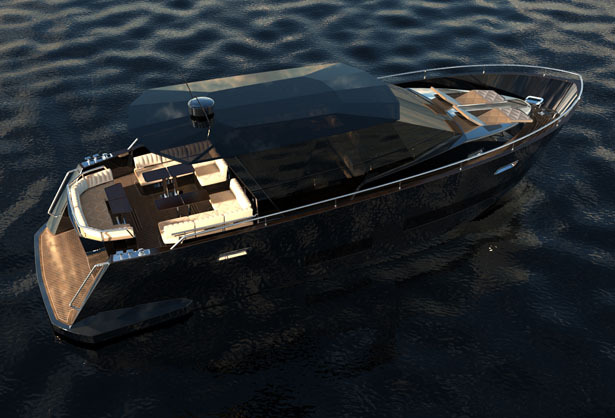 This beautiful yacht LOA is 13-meter, Beam max is 4.2-meter. 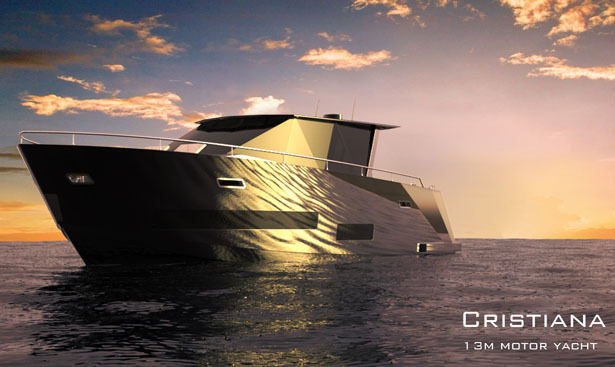 Compared to other competitors, Cristiana yacht features wider rear deck space for a better dining party or an area just to hang out with friends, the aluminum metal hull body makes this yacht looks pretty sleek. 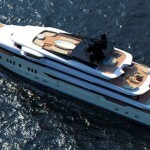 This yacht also places the owner’s room in the middle of lower deck, in yacht less than 45 ft., normally you would find the owner’s room is located at the bow. 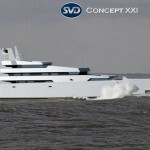 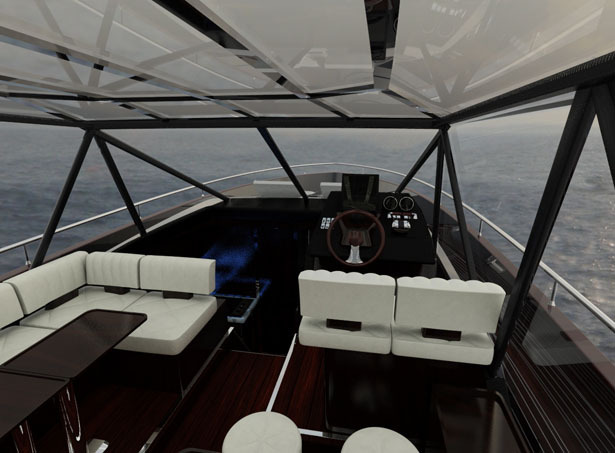 In this yacht, notice how the main deck is positioned slightly higher than normal which according to the designer, it’s meant to offer better safety and appearance since the flybridge is ignored and solar panel on roof glass can be mounted for generating electricity by owner’s preference. 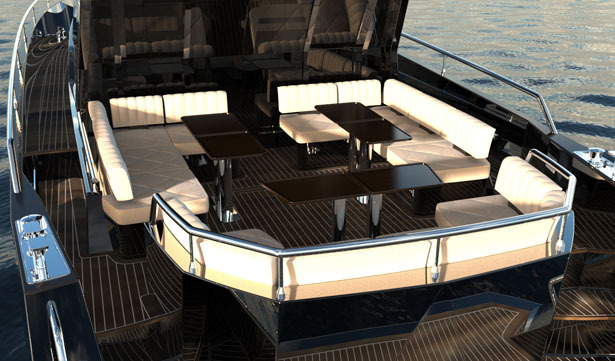 Therefore VIP room can be located at the bow of the boat. Kitchen and dining table/sofa are also placed in the middle of lower deck. 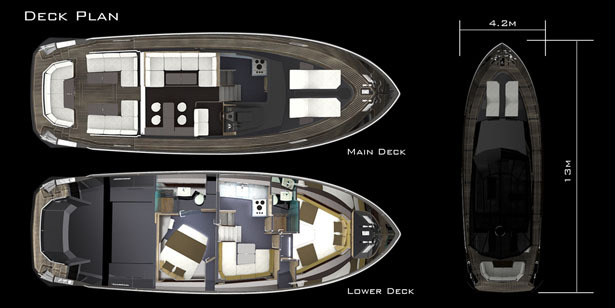 In this way, the lower deck of Cristiana yacht is more spacious and useful compared to other yachts in its class. 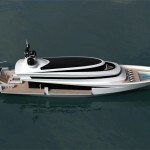 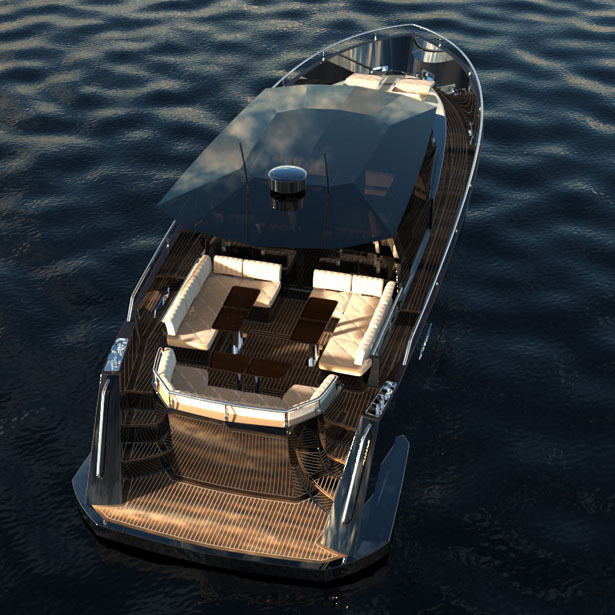 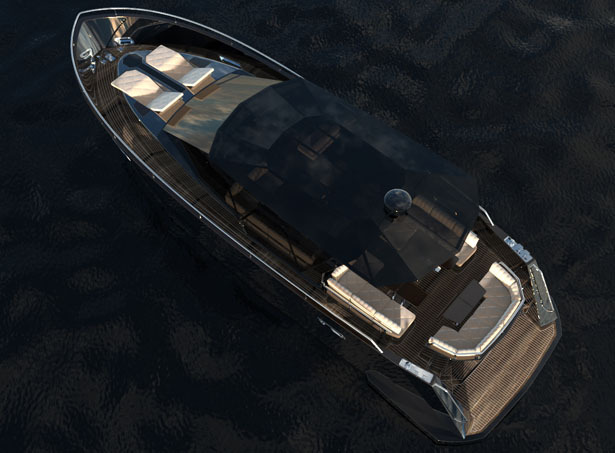 Tuvie has received “Cristiana Yacht” from our ‘Submit A Design‘ feature, where we welcome our readers to submit their design/concept for publication. 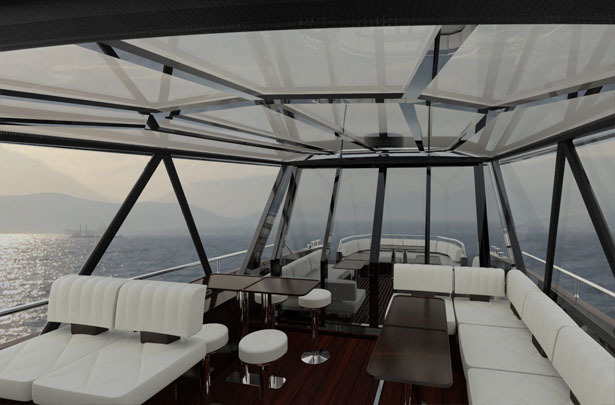 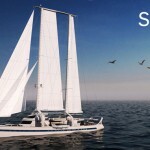 Tagged as aluminum metal, Beautiful, Cristiana, Designer, generating electricity, metal hull, middle, roof glass, Seok, yacht design.